What comes to your mind when you see white? Apparently, white essentially resembles a positive color. Of course, white is actually associated with purity, goodness, brilliance, cleanliness and many other positive concepts. When it comes to apparels, white t-shirts are comfortable and stylish to wear especially during sunny summer days. They are even for many years been the staple item of clothing in the wardrobe of men and women. 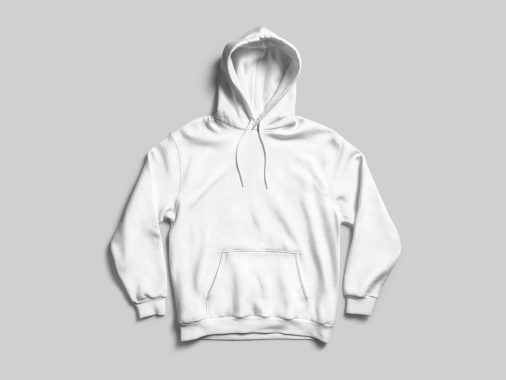 If you’re working with graphic designs for a t-shirt you should not miss adding a white t-shirt mockup to your collections. The white t-shirt is always cool. No matter what the activities you are engaged to do, you will always look fresh and neat all day when you wear white apparel. Aside from that, it’s also a timeless outfit that never goes out of fashion similar to black t-shirts. It’s also a versatile type of clothing that fits well for any trousers or skirts. For designers, they need to have sets of white t-shirt mockup for a more realistic and more creative result. In that case, you should check out these mockups that we’ve handpicked for you. There are various resources of very useful mockups that we can get from talented and amazing designers all over the web. We can find free white t-shirt mockups and premium ones too. In this collection, you’ll find different ways to showcase your white t-shirt designs using the free and premium ones. Basically, you’ll also see various angles of white t-shirts in PSD files. So, if you need one for your upcoming projects, never miss the chance to grab any of these tools. 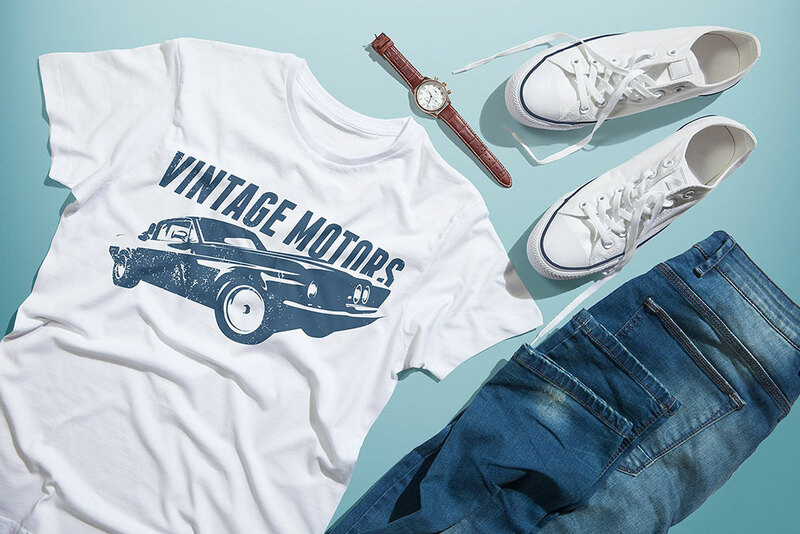 See which white t-shirt mockup fits your style and needs. Starting a t-shirt printing business needs essential tools, strategies, and resources. Whether you want to sell online or on a physical shop, a mockup can truly help your designs to stand out. If you want to have a beautiful and exceptional product, you can opt for the awesome resources on the internet. 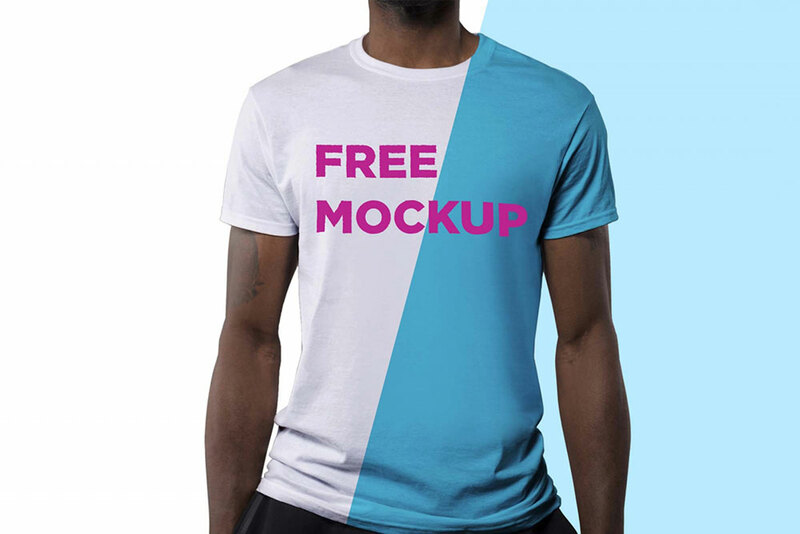 Here’s a White Colored Men T-shirt PSD Mockup – Available for Free. This mockup features a man wearing a white t-shirt. Apparently, you can add your logo, pattern, branding or any artwork you want to reflect in the scene. Just use the smart object in inserting your designs into the t-shirt. The feedback of your client in your presentation is very important. So, just before you present your designs, you better make sure that in all angles they are seamless. 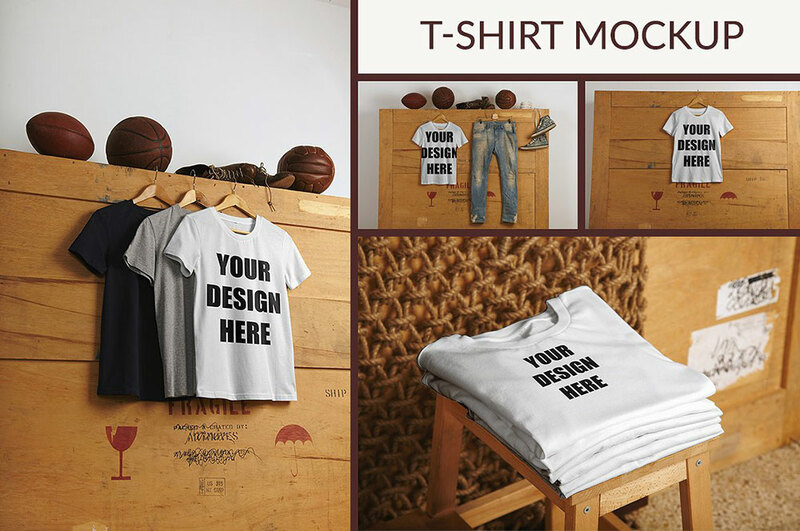 Here’s a mockup that you should be adding to your tools, a Fashionable T-shirt Mockups Collection for Free. It contains 4 different PSD files of presenting your designs through a male model wearing the white t-shirt. 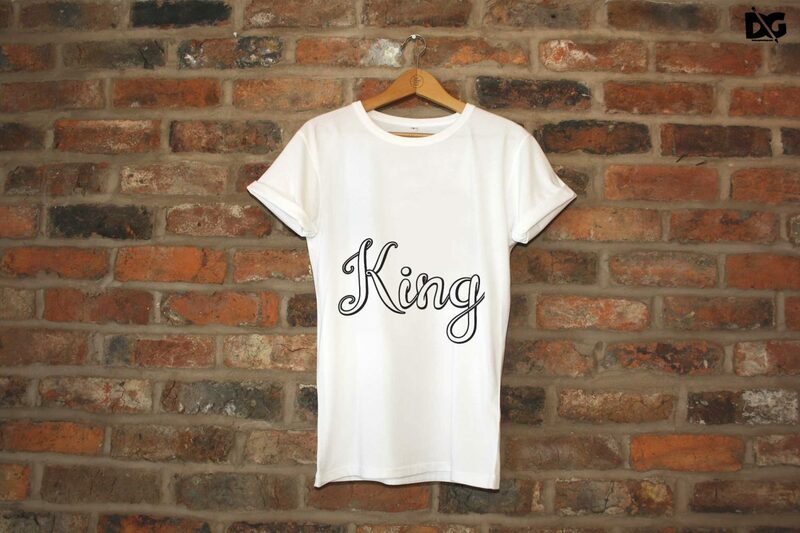 Particularly, you can add typography, logo or any designs you want to preview using the white shirt. However, you may also change the fabric color if you need to so they look perfect with your logo or design. 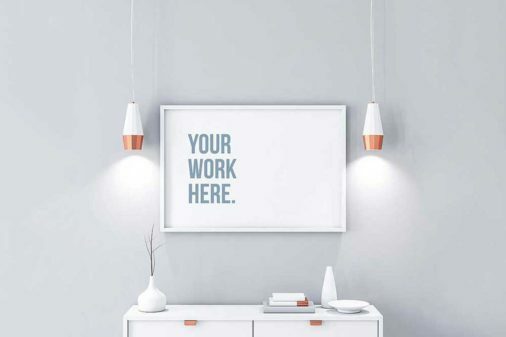 With this mockup, you can create a fabulous and creative presentation without so much difficulty. Just drag and drop your image into the shirt using the smart object. To produce wonderful designs of t-shirts, you must choose the right products, and add useful graphics to them. In this way, you’ll be able to create a good impression of your brand wherever they may reach. 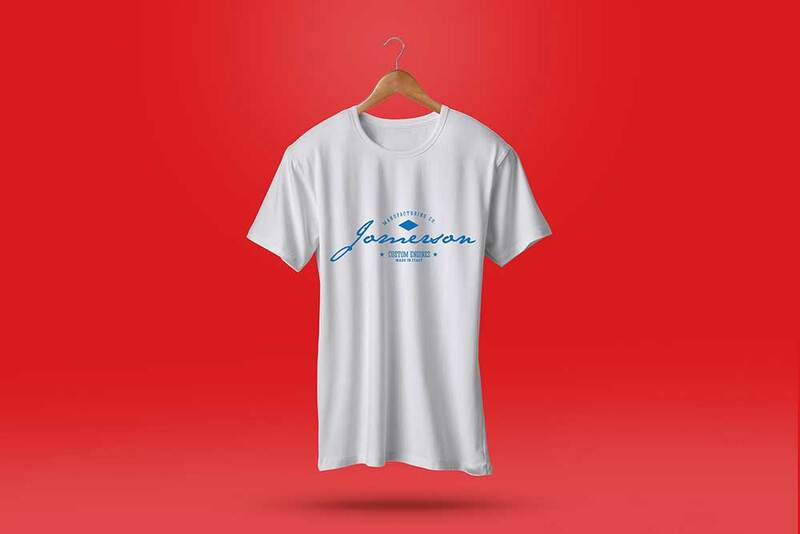 So, in case you need to use a white t-shirt mockup, you can utilize this Trendy T-shirt PSD Mockup for Designing Various T-shirts in a Hassle-free Way. 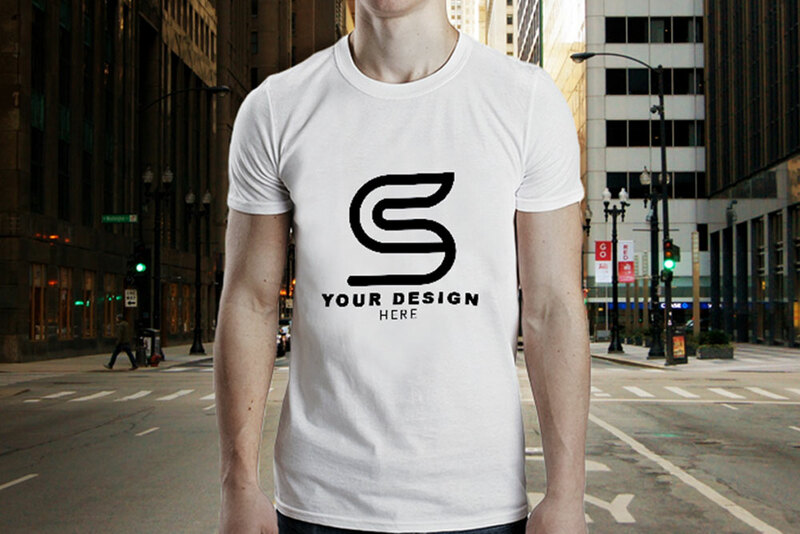 This mockup features a hanged white t-shirt with a realistic look and a customizable background. Basically, it’s very easy to apply your own designs into the t-shirt via smart object. Moreover, you may edit the color of the shirt if you need to and change the background as well. Do you want to look fresh and cool despite the hot weather? Want to look attractive yet simple? Why not add a white t-shirt to your closet and make it a versatile item for any event it suits with? In order to have wonderful, alluring t-shirt designs, grab this Free Download T-shirt Mockup. Apparently, this mockup contains shorts, shoes and a white t-shirt on a perfect top view shot. Specifically, you can add your logo or any graphics on the t-shirt and it will perfectly reflect in the shirt via smart object. Furthermore, you also have the option to remove the shoes and the shorts if you need to. 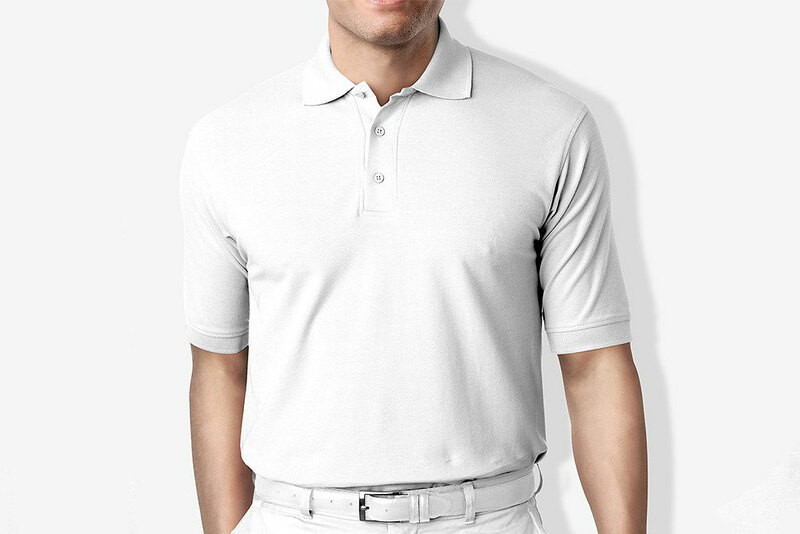 Regardless of what fabric you choose, a white t-shirt will surely give a clean, elegant and professional look. In fact, a survey reveals that women are more attracted to men who wear a white t-shirt. Therefore, these white t-shirts should always be available on every man’s wardrobe. As a designer who currently works with a white t-shirt, you can pick this Customizable T-shirt Mockup Available in PSD Format & for Free. Apparently, this mockup features a man wearing a white t-shirt where you can insert your designs well on the front surface. Furthermore, this mockup lets you change the color of the t-shirt and the background too for your presentation. The white t-shirt is a wardrobe staple for both men and women. Every man should have at least one clean, durable and fresh white t-shirt in the closet for a cool OOTD. Haven’t got a useful white t-shirt mockup? 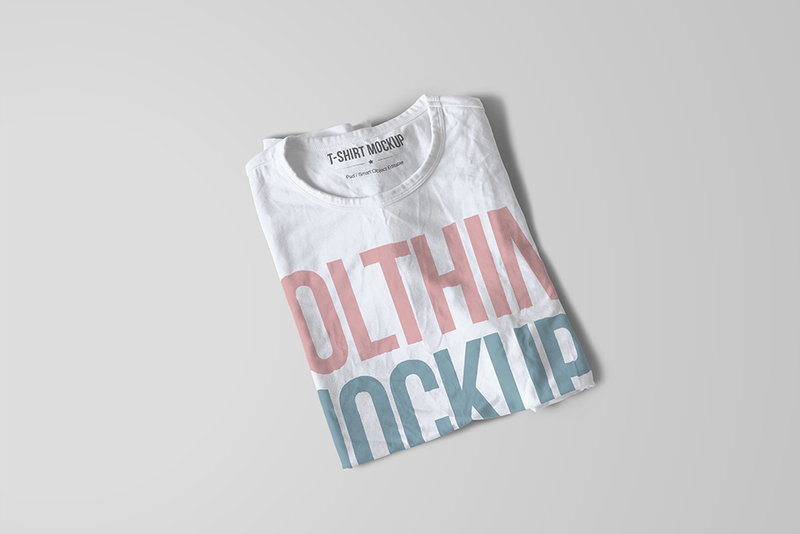 Why not check out this Free Male T-shirt Mockup – Fashion Meets Usefulness. Featuring a male model wearing a white t-shirt, this mockup will never fail to render wonderful apparel. Particularly, you can insert design for the front surface such as typography, graphics, pattern or whatever you want to apply. Just use the smart object in applying your own design and change the color of the t-shirt as well. Brighten up your look with clean and professional white t-shirt paired with a skirt or any trousers. Or you can pair a white t-shirt with a fashion-forward blazer for office attire or any event. 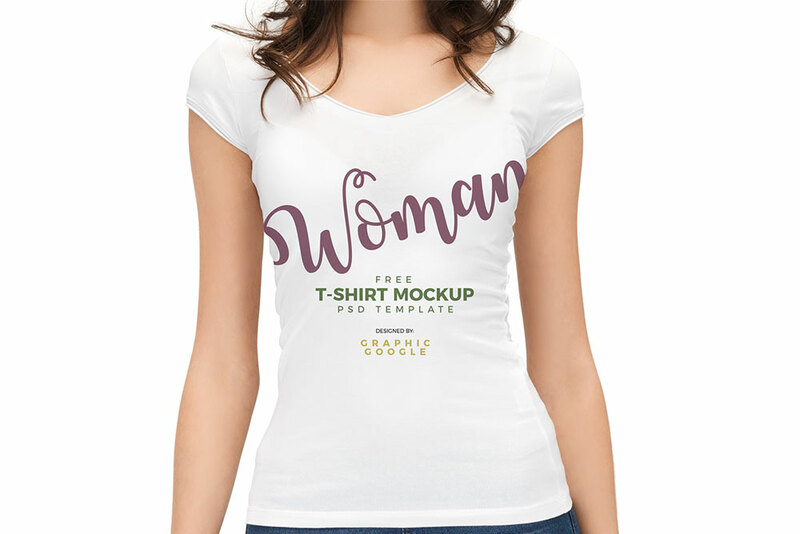 In order to create a wonderful design of graphics, you can use this Free Women T-shirt Mockup. This mockup features a woman wearing a white t-shirt with a cool and realistic effect. 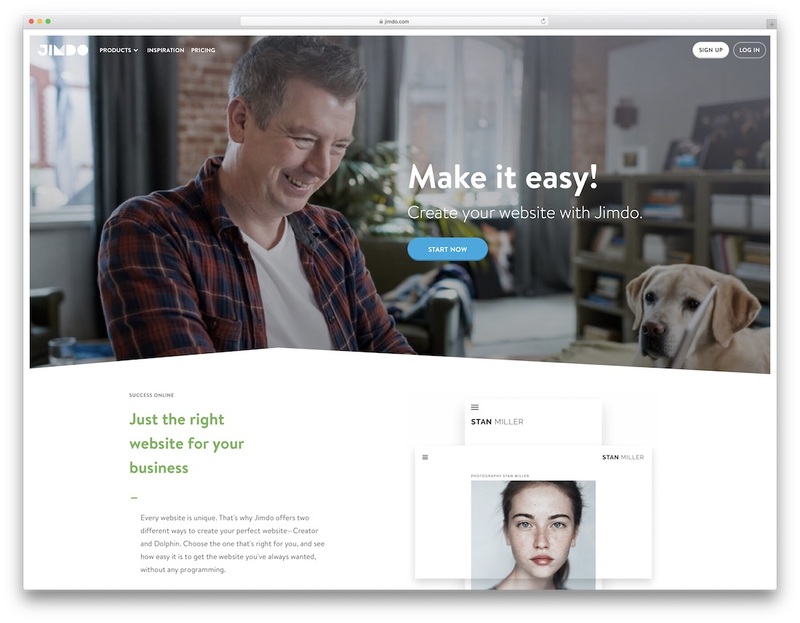 Through the use of the smart object layer, inserting your own designs is very easy, whether you wish to personalize your design with awesome typography, cool graphics or just a plain logo, seeing the results won’t take so much time. This mockup also offers a black version of the shirt. The color of the t-shirt you wear can definitely reveal your personality. If you’re the type of person who loves cleanliness, full of hope and likes simplicity then you can opt for white apparel. There are many positive attributes that can be associated with white. Therefore, designers need to have various tools in finalizing the designs. This may include a white t-shirt mockup for any projects you will have. Here’s another awesome mockup that you should grab. A White T-Shirt Mockup Freebie in PSD that features a guy wearing a white t-shirt. Specifically, you can apply your own artwork to the front surface of the shirt via smart object. No matter what brand you’re working with, it’s always best to make sure that your designs will look remarkable in all angles. Whether t-shirts are hanged, folded or laid flat see to it that the details are clear and in order. To test it well, you should have this Folded T-Shirt Mockup Freebie in PSD added in your tools. This mockup lets you showcase your designs in a neat and clean manner with a folded white t-shirt. Basically, you can add designs on the front and on the neck label using the smart object layers. Furthermore, you can edit the color of the shirt to suit your needs. Make a fashion statement, be bold and chic as you add a white t-shirt in your wardrobe. Having a white tee for women is not just fashionable but is perfect apparel that suits any outfit. 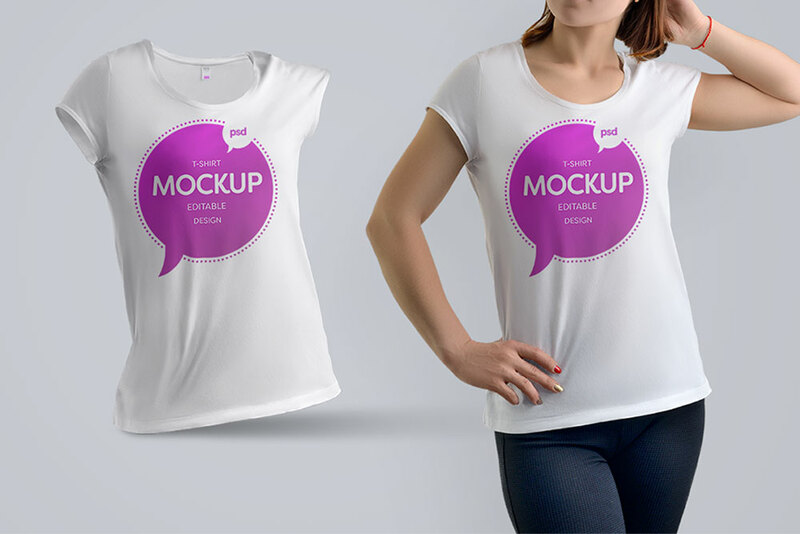 If you’re in need of a new white t-shirt mockup, you can download this Trendy & Free Women T-shirt PSD Mockup. This freebie features a woman model wearing the white tee paired with jeans. You can easily integrate your designs through the use of the smart object layer. If you may need to change the background color, it’s also possible. Men’s closet would be incomplete without a white t-shirt that will complement a man’s apparel most of the time. A plain white t-shirt is truly useful as an article of inner clothing. However, it doesn’t mean they cannot be worn alone. 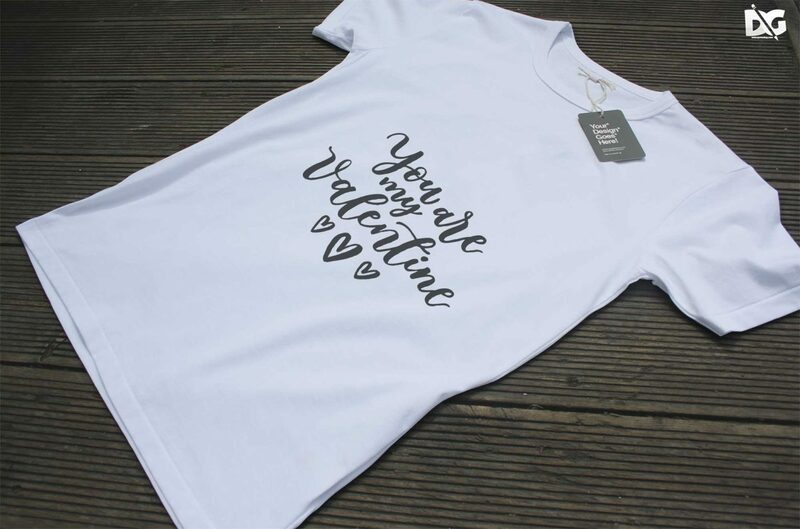 White tees, when printed with adorable graphics, quotes or logo, can do so much to your overall look. For your brand to stand out, you can add the logo on the front and make it your marketing tool. Here’s a Free T-Shirt Mockup PSD that you can use for testing your branding designs well. This mockup features a white t-shirt placed in a hanger having an awesome, realistic effect. This is ready to showcase the front surface of the white tee designs. Some men love to wear a white t-shirt while others love to wear black. If you prefer the white shirt then you should pick the best one that fits your size and the graphics you prefer. 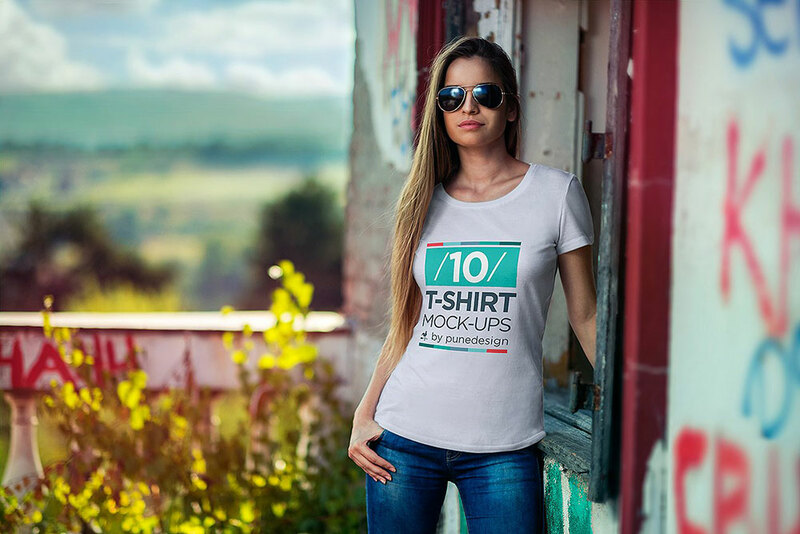 In order to see how well your designs would look like on the real garment, you can use white t-shirt mockup. Here’s a Trendy Men T-shirt PSD Mockup – Available in High Resolution. 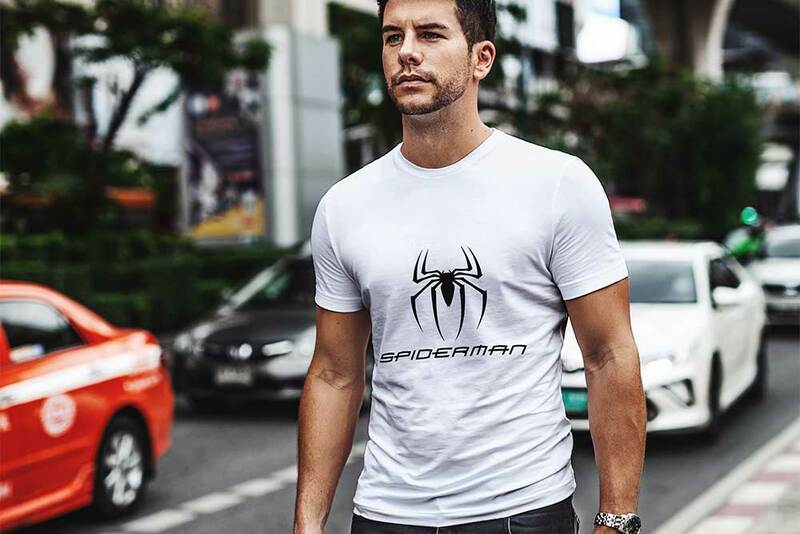 This mockup showcases a white t-shirt worn by a male model on the street. If you wish to add a logo, quotes or any artwork, it’s easier to insert as this contains the smart object layer. It’s also easier to change the color of the shirt so you can have different versions of your designs. White tee with black jeans will never fail to make a fashionable statement. Or you can make it even more appealing and interesting when you add quotes on the white tee that reveal your personality. If you want to give something to a dear friend who can’t resist white tees, then this White T-shirt PSD Mockup for Men T-shirt Designs is for you. With this mockup, you can make your designs more personalized and desirable. Just prepare your quotes or his favorite character and insert it into the white tee for evaluation and for printing. You will only need to insert it with ease through the smart object layer. If you plan to give your loved one a gift for her birthday, you can make it more personalized if you print something that will make her feel special. And if she loves white tees that much, you can make a beautiful present without much effort. Just prepare the graphics or typography you want to reflect in the tee and grab this Sober & Cute T-shirt PSD Mockup Available for Free. Now you can create a fantastic gift ever with this mockup. As it comes with the smart object layer, adding your own artwork will be very easy and fast. It features a white t-shirt presented in a perspective angle along with a tag that’s also customizable. If white is associated with purity and positive energy, there’s no reason why this type of shirt should not be included in anyone’s wardrobe. Men and women should have different types of white apparel. Well, as a designer, there should be enough white t-shirt mockup in their tools to produce wonderful and alluring designs. Whether for personal or commercial projects, this Round Neck T-shirt PSD Mockup – Fashion Meets Usefulness is a must-have! It features a white t-shirt on a top view. With this pack, you can refine your designs and remove the unwanted elements. Furthermore, you can easily edit the color of the t-shirt and the background as well. The most common attire we see on the streets are white t-shirt and jeans. Perhaps it’s one of the most comfortable and elegant outfits that most women cannot resist. That’s why there are many brands that try to impress the customers through their white tee versions. 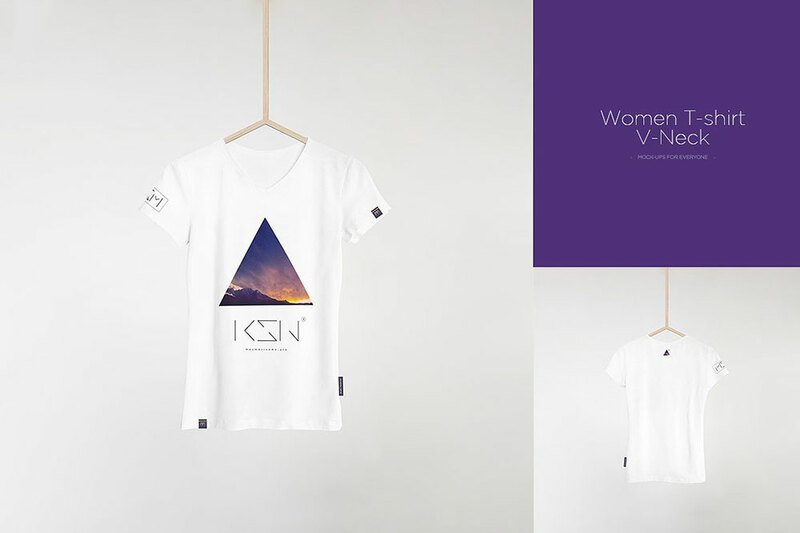 If you’re working with a white tee for women, you must have this Free Woman T-shirt PSD Mockup. 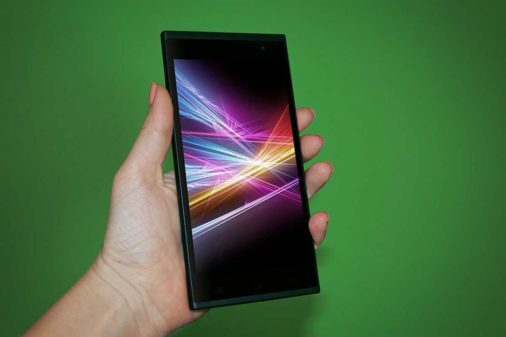 It’s fully-layered, with organized folders for easy customization. Particularly, you can choose to showcase a t-shirt alone or use the t-shirt worn by the model or showcase both of them. Moreover, you may also change the color of the shirts, add a collar label and change the background color too. Famous brands of clothing always include white pieces of clothing in their collection. Despite its simplicity, they make people look daring, clean and fresh. 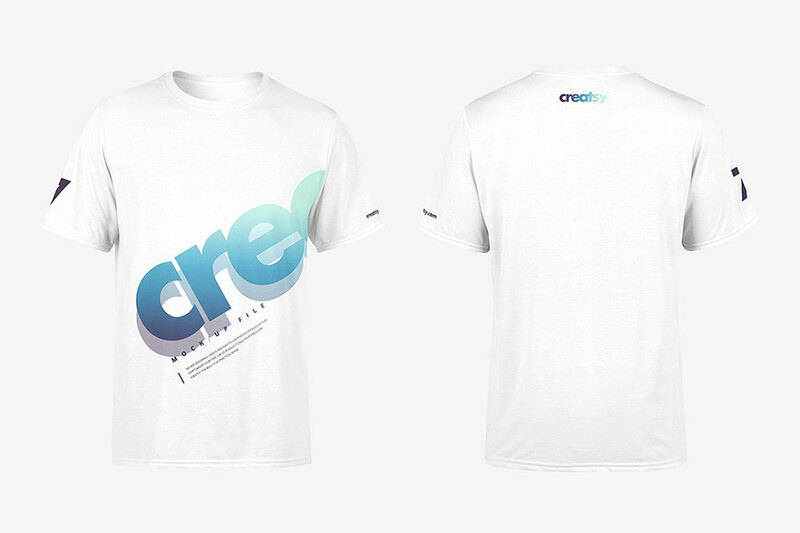 Meanwhile, in order to make the designs seamless, having white t-shirt mockup will make your work easier. Here’s one that you should not miss grabbing. 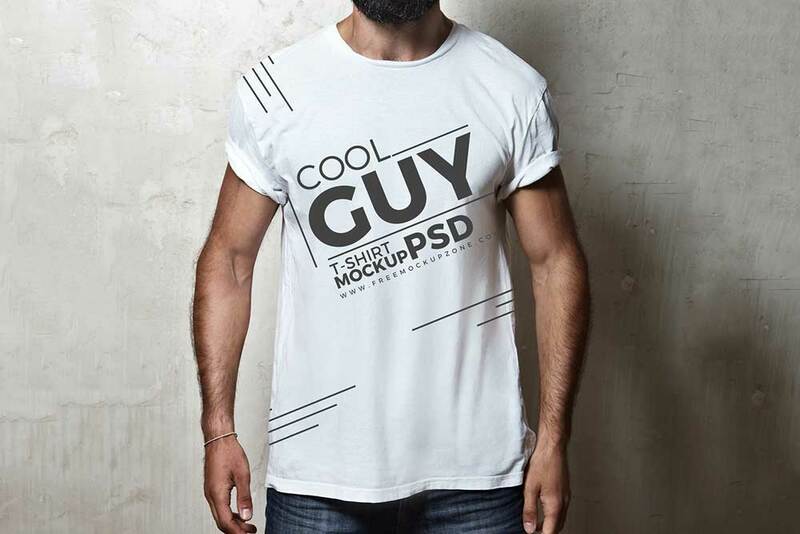 A Stylish & Fashionable Men T-shirt PSD Mockup that is very useful for the evaluation of men’s shirt designs. 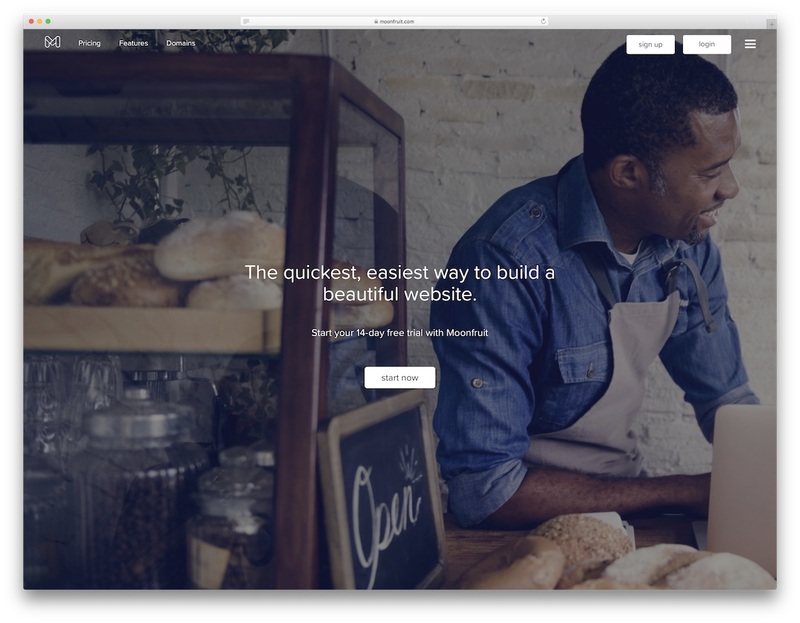 It allows you to add your own artwork like the logo, text or quotes with less effort. With the help of smart objects, you can easily change the color of the t-shirt to meet your preferences. Since white color can symbolize innocence, purity, and cleanliness, kids wardrobe should include white t-shirts as well. For more versatile apparel, these white tees are best for girls and boys. 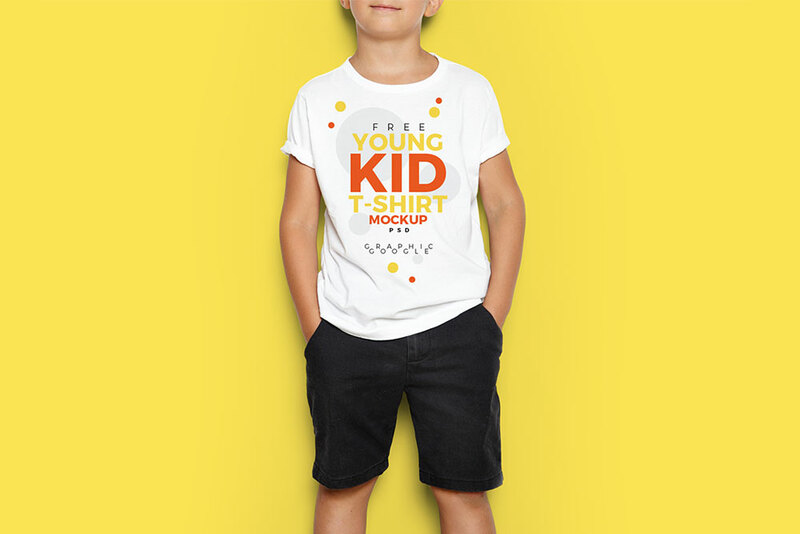 This Little Boy T-shirt PSD Mockup – Cute Look & Useful Features is a cool addition to any designers tool. With this mockup, you can see which colors are more powerful and fits the best with the white tee. It features a little boy wearing a white t-shirt with rolled up sleeves. 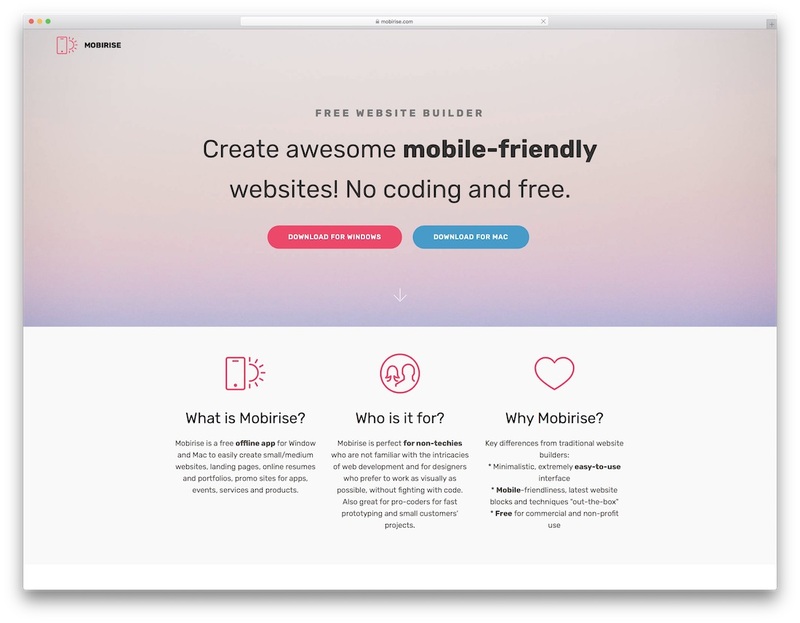 Through this mockup, you can easily check which part of your designs need to have improvements. As it contains smart objects, applying your own artwork has never been this easy. If in any case, you want to edit the color of the shirt, it’s also possible. Women on the go need to have apparels that will fit them to do anything. One of the common apparels for outdoor activities is the t-shirt. Well, if you think white t-shirts are not for outdoor fun, you better think twice. These white tees will give you a fresh and neat look with whatever color of trouser you pair it with. Hence, designers need to include this color in their various versions of t-shirt projects. 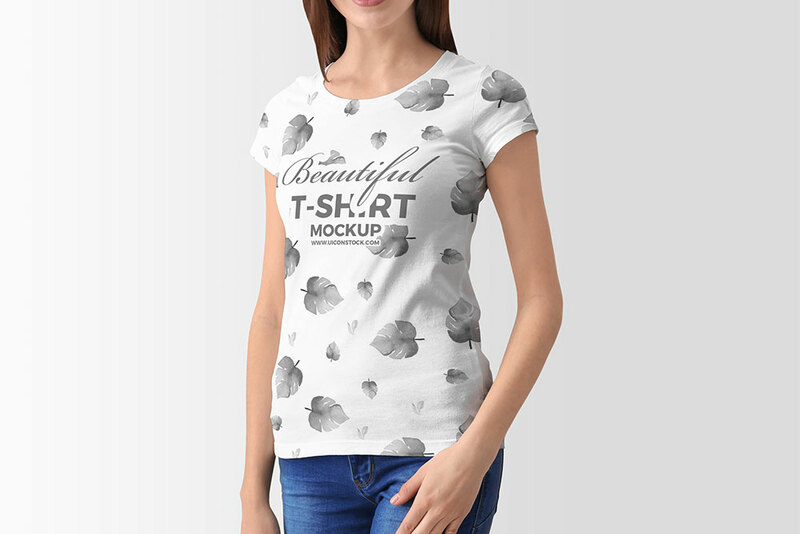 Here’s a Woman Wearing White T-Shirt Free Mockup that’s ready to render a realistic look of your designs. You can easily apply your own artwork into the tee’s front surface as you utilize the smart object layer and modify its color too. 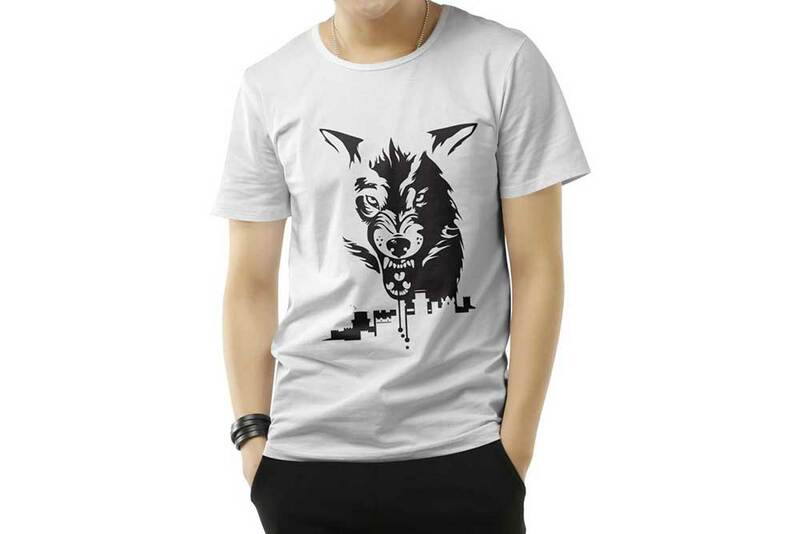 There are various aspects that you should consider when buying a t-shirt for yourself. One is the color, size, style, and fabric. All of these are all important. However, it’s commonly the style that entices customers to see or check out the t-shirt displayed on boutiques. How important then is the style that most designers spend days of hard work for marketing those apparels. In order to make the most of your design, you can utilize mockups. Here’s one that you should not let slip out of your hand, a T-Shirt Mockup Set that will give you the best final preview before it gets printed. This pack contains 10 studio mockups and 6 street mockups. You can use a crew neck, v-neck and tank top for t-shirt types. Have you been looking for the best apparel to use as a perfect uniform for your client’s company? Are you anxious about how your designs would look like? Well, if you’re not yet sure if it will impress your client then download this Polo Shirt Mockup. This mockup is fully editable that lets you display your designs on the front view. Specifically, you can edit all material parts, including the belt, buckle, buttons, trousers, and label for a fully customizable presentation. You can also add an embroidered logo to enhance well your polo shirt designs and presentations. If you wish to add your own logo or artwork into the shirt, you can always make use of the smart object layer. Aside from black, white color also complements all types of skin tones. So, it should always be part of your wardrobe. Regardless of gender and age, a set of white apparels should occupy your closet including t-shirts. That’s why for clothing brands, they shouldn’t neglect to have white t-shirts as part of their products. Here’s a Men T-shirt Mockup Set that is useful for your printing business or online store. This pack contains two PSD files that showcase the front and back views of the tee. Basically, you can edit the front, back, sleeves and neck ring. You can also change the color of the garment and apply your own designs through the smart object layer. It also comes with a changeable background. The most common, effortless outfit of a man is to wear a white tee and jeans along with a pair of boots. A white t-shirt with a cool, simple print fits well for beaches, casual party or local bar. Therefore, clothing brands should put so much effort into designing a bunch of white tees. Here’s a Men’s Crew Neck T-shirt Mockup that will aid you with your task. This pack contains four scenes of white t-shirt along with jeans, shoes, belt and other accessories. It’s useful for showcasing your brands to billboards where you can place your own brand into the white tee. The color of the tee is customizable and the background to suit your needs. It also comes with smart object layer for easy design insertion. Always look fresh even in summer seasons with white t-shirts in your OOTD. T-shirts are ideal to wear for informal events but could always look fashionable especially when it has grandeur prints. So, if you’re working as a graphic designer in the clothing industry, make sure you have all the useful tools that can make your product stand out. Here’s one that you should grab, a T-Shirt Mock-Up Vol.22. This pack contains 21 PSD files that feature different views of a white t-shirt for women. However, the shirt can be customized to your own color of choice. Editing and polishing your designs are pretty easy with this mockup as it has organized layers. Women love to wear a t-shirt as it makes them feel comfortable and on the go. So, pick the best type of t-shirts from your favorite clothing brands and get ready to make a statement. On the other hand, those clothing brands should look for different ways to improve their designs. One way to achieve such a goal is to use mockups. 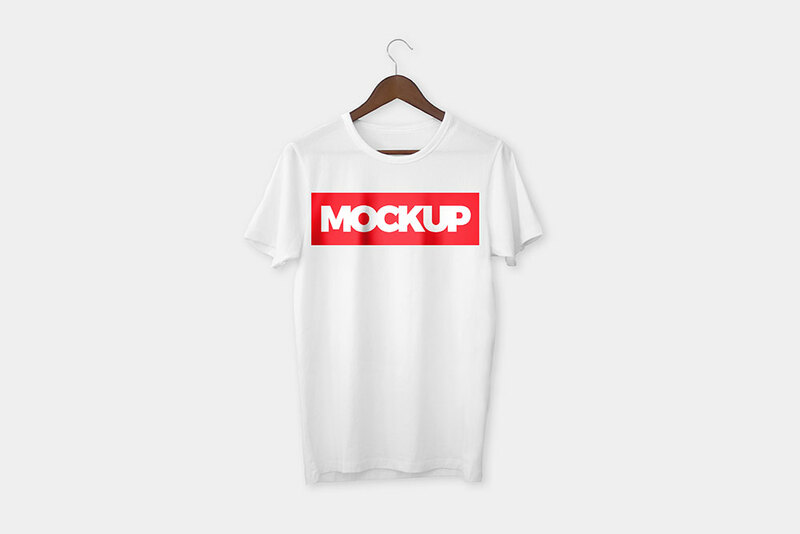 Here’s one that you can rely on when you need to test your designs, a white t-shirt mockup with awesome features. This T-Shirt Mock-Up Vol.2 contains 10 PSD files that use the female model in different, perfect views. With this pack, you’ll be able to choose the best color that fits on the white tee or to the color garment of your choice. Need to design a t-shirt for an upcoming get-together? Why not make use of a white t-shirt and look for the best font, graphics that will give meaning to the event. 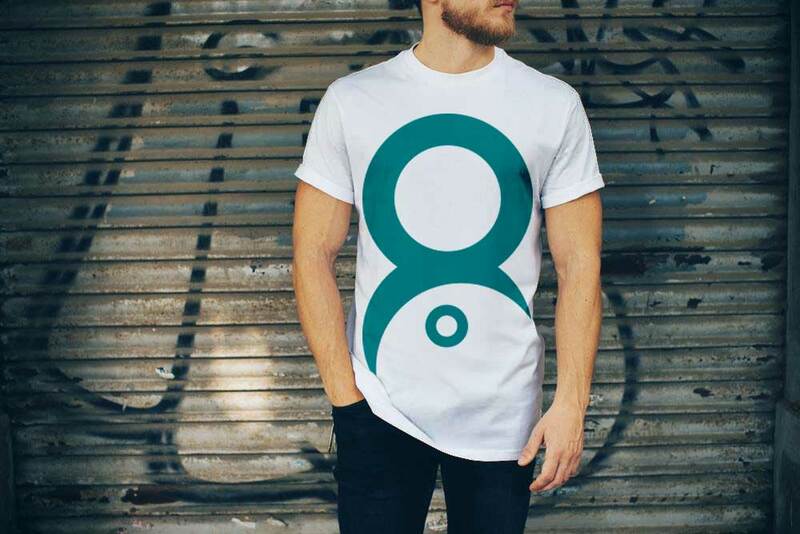 To create such, you can pick this T-shirt Mockup and change the way you see your designs. With this mockup, you can showcase your designs to a client or personalized well your project. It comes with four different styles of displaying your white t-shirt. 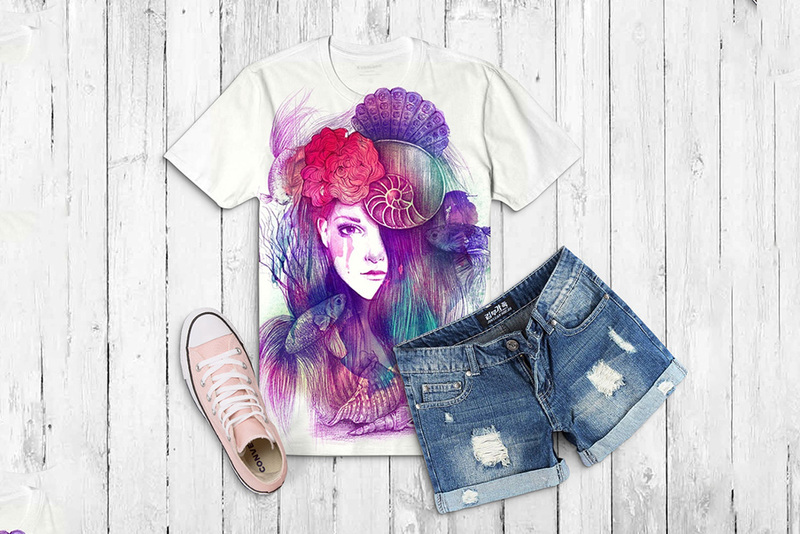 You can change the color of the tee and add your own artwork with ease via smart object. Whatever type of fabric you choose for your project, always ensure that the prints are extraordinary and ready to impress customers. And of course, don’t forget to include a white t-shirt as a cool version of your product. 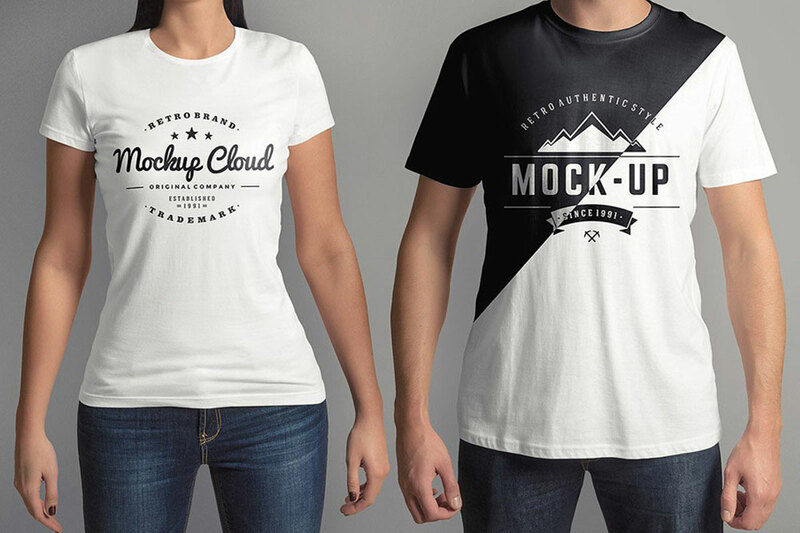 If you need a mockup for testing your designs, you can grab this Men & Woman T-shirts Mockup. 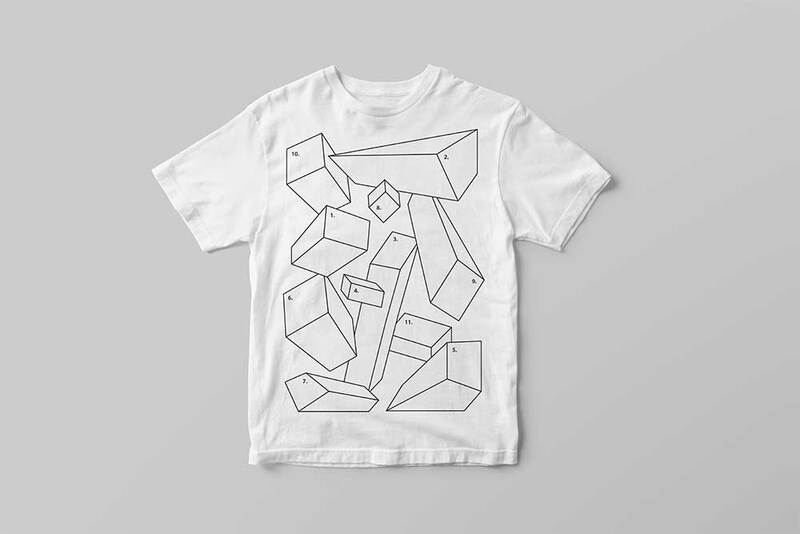 This mockup contains 8 different views of a white t-shirt. You can see here hanging shirts for men and women. Basically, you can add designs on the chest, back and sleeves; change the color of the neck ring and choose from the 5 colors of hangers. Check out how realistic your designs can be when you use this pack for your projects. If you own a garment printing business, having remarkable and realistic t-shirt mockups is much beneficial. Before you send your designs for print, you can have a realistic preview and remove the flaws on it. Here’s one that is worth your penny, a T-Shirt Mockup Vol.8 that is ready to showcase your designs in a nice and adorable manner. This pack contains 14 PSD templates including a white t-shirt. Particularly, this pack lets you change the color of the garment, apply your own artwork through the smart object and has a displacement map too. It has organized layers that lets you easily edit the file and see results in no time!